Hi everybody, first happy new year! I can't believe another year has passed. It was filled with (good) changes, challenges and lots of love. Last year I found out how blessed I really am. I have an amazing family, a big group of awesome friends, whom always be there for me and of course the Mister. He has the biggest part in making my year awesome. Last year was also about Dailystills. Me and Shannon, a.k.a. Sniffy made a list with prompts for daily photos every month and shared them on Instagram. We were not sure about another year of Dailystills, but in the end we love doing this and it's perfect to capture 'daily life'. So here it is, Dailystills January 2014. Please feel free to join us on Instagram. 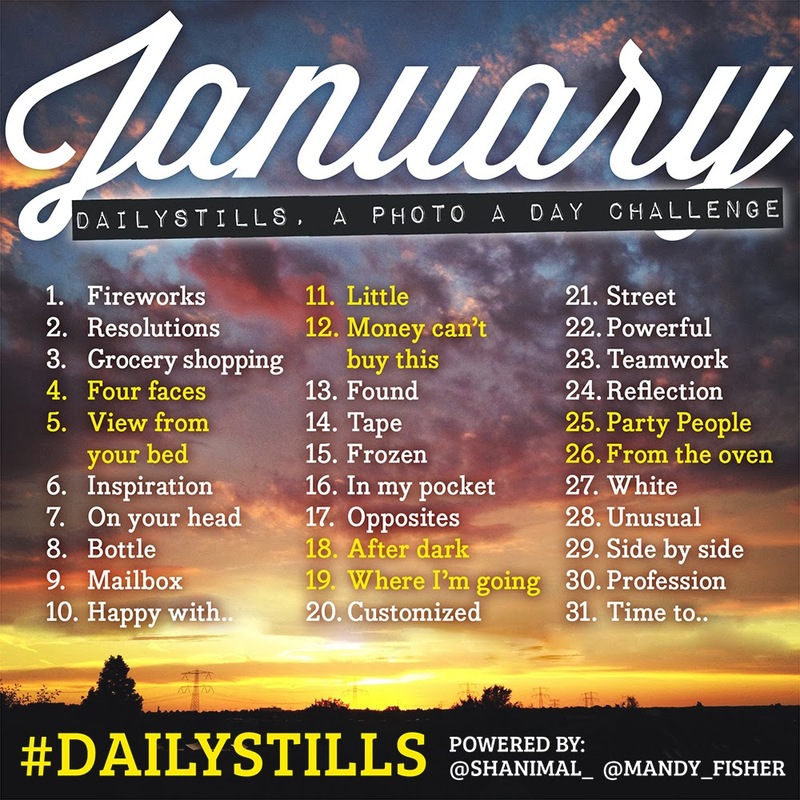 Hashtag your photos with #dailystills when you do! It's super fun. My Instagram account is mandy_fisher and Shannon's is shanimal_!